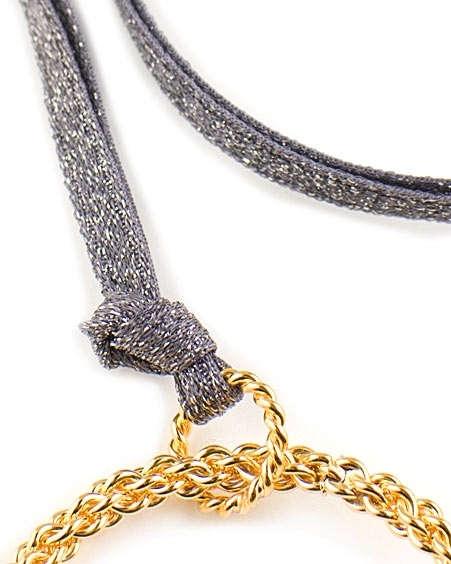 24k gold vermeil links necklace by Parisian designer, Eloise Fiorentino. 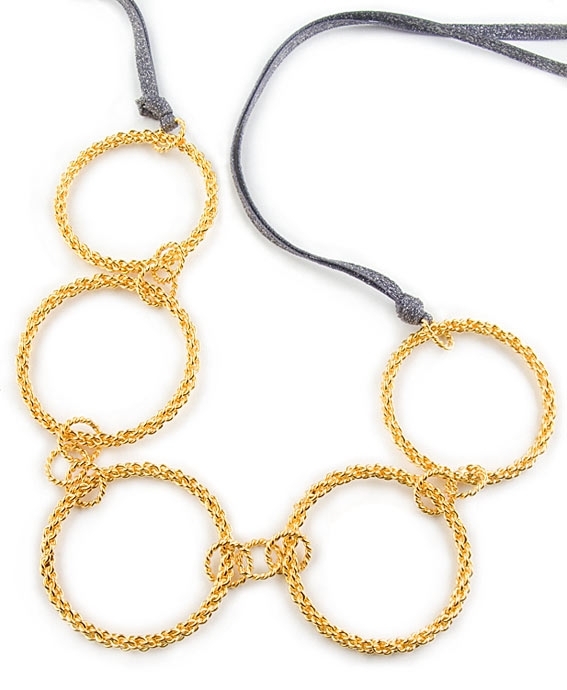 This stunning designer necklace features five 1.8" woven 24k gold circles vermeil, connected with four sets of two and three 0.5" intertwined circles. Necklace is finished with an elegant double metallic silver ribbon and measures 105cm / 41.5" in length. Circles are 31.5cm / 12.2 " in length. 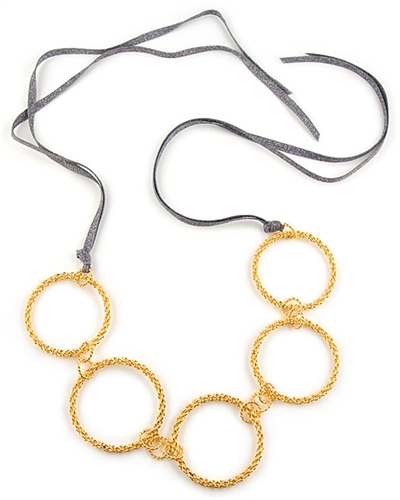 Necklace can be worn long or as a choker. A unique designer necklace available exclusively in the UK from the Farfallina Online Jewellery Boutique.